Imagine retail customers no longer fumbling at a billing queue to drag out a crushed (or even half-torn) discount coupon, or a sale notice. Instead, visualize the same customers handing their iPhone or Android smartphones over to the store clerk to scan their new Digital Pass! That is no longer a sci-fi element, because the technology is here and now. Now, a retail customer can be informed of a new location of his favorite store, the offers available, special events and sale timings. And to avail a sale voucher, the customer only needs to show the Pass at the billing counter, where the store clerk can scan the bar-code and process the offer. Technology has made the entire transaction, the whole process in fact, that much simpler, personal, engaging and efficient! With this advancement, people can save information of their favorite offers or special sales, or get digital discount Passes on their phones . Passes and Passbook are, arguably, the next step in evolution of customer outreach. Additionally, there is an option for retailers to send an image of the pass that the customers are receiving. The latter can get them via email, SMS, MMS, the web, social media, an app, and as QR codes (using the built-in Passbook scanning app). Historically, Apple first introduced the concept of Digital Passes in 2012. Passbook is an application in iOS that allows users to store coupons, boarding passes, event tickets, store cards as well as financial information. The Passbook displays Aztec, PDF417 and QR 2D barcodes, which can be triggered by location, localization, and the time of pass (validity). Being a Digital Pass, up to 10 locations can be added to each Pass, as in once a customer stores a Pass in his iPhone/Android Passbook, a location is programmed via GPS coordinates and/or iBeacon UUID. And another advantage of being digital is that up to 35 languages can be stored per Pass. The 2D barcode in Passes can easily be recognized by a terminal POS barcode scanner, thereby removing the need to issue (and lug around) traditional passes. Going local to woo customers was never so easy! Changes/modifications in the Pass can be pushed via the Apple Push Notification Service by the pass provider, or manually updated by the user themselves. iVend Passes utilizes the geo-fencing feature to specify different retail store locations. They can specify different stores coordinates while designing the template of the digital passes (it can be a gift card, coupon, or a loyalty card). The tagging of stores on the Digital Passes ensures a notification is received on the customer’s locked phone as soon as he reaches the vicinity of stores tagged in the digital Pass. Besides the ‘valid-until’ dates of coupons, points and currency balance in Loyalty and Gift Cards are some more notifications that a customer can receive on his/ her phone. So, what does the customer get out of this? He/she doesn’t have to check the validity on the Passes anymore. The Passbook feature automatically remind the phone owner when the due-date is near. When the customer is near a store, the relevant Pass will automatically put itself on the notification panel. So, the customer actually gets to enjoy the many benefits extended by the retailer. The information given above outlines what the customer gets out of iVend Passes. And in usual cases, the retailer is content with making it easier to reach out to the customer. But with Passes, there is a whole host of information that can be gleaned out of this avenue. For one, the retailer gets comprehensive dashboards. A density map allows the analysis of the highest concentrations of Passes and where they are/have being used. That also gives the retailer an idea of where is the highest concentration of his customers. 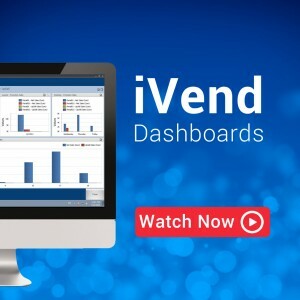 Plus, the iVend Dashboards can be configured to see the Usage Ratios. The management can see graphic evaluations to measure their Return on Investment (ROI). 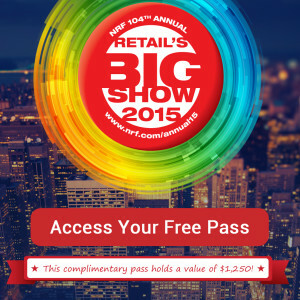 The retailer can see who has viewed their enterprise’s Passes, who has opened, redeemed or deleted their Passes. And this is all possible in real-time. So now, many retailers have installed third-party loyalty and Passes applications on top of their legacy software systems. In some cases, the sales till gets a new machine, adding to the clutter. And even then, there is no guarantee that the separate software can ‘talk’ to each other, easing hassles for the store employees and customers alike. With the iVend Enterprise Retail Suite, a retailer can go beyond installation and integration issues. The Passes application is one of the complementary application in the software suite, and provides unmatched performance, safety, utility and data for the retailer. 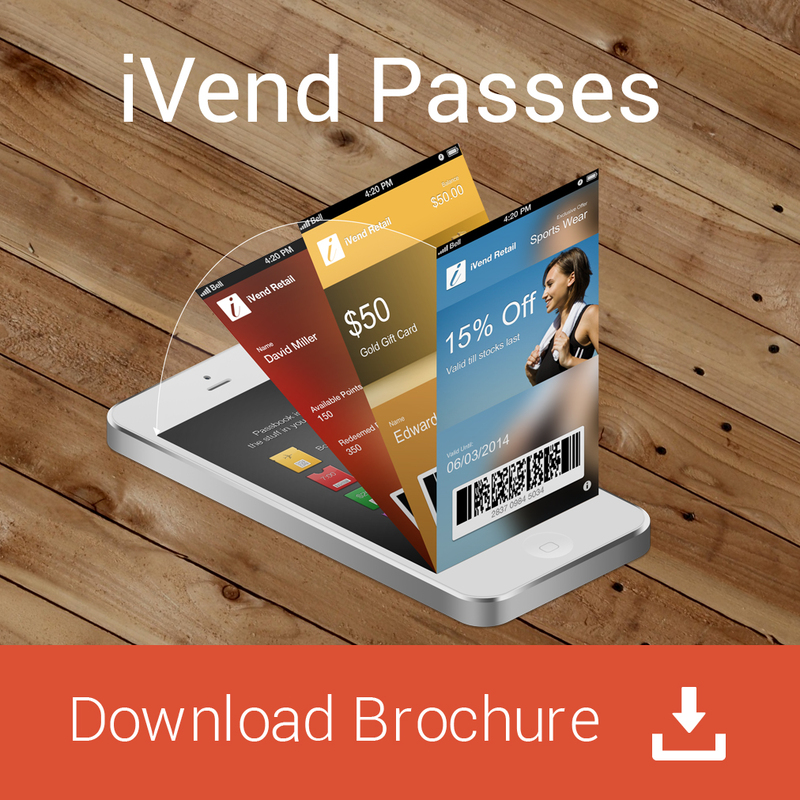 Then, with iVend Retail, it becomes as easy as anything to design Passes, using the template designer to layout the design for a gift card, coupon or a loyalty card. The Email Designer enables the sending of customized email messages, along with your Passes. And of course, customers would prefer the ‘greener’ version of retailer rewards, wouldn’t they? If you are like most business owners your number one concern is how to get your business name and product out effectively to consumers. How do you get what you are selling a topic of discussion and a solid referral base established? The answer lies in multi channel retail. The first and most crucial step being ecommerce, it is essential that your business has a very strong online presence. A custom website that is both easy to use and secure is a must. Having your business name on blogs, and various social media outlets is a sure way to skyrocket your business. Next, is customer loyalty. How do they remember you? What better better way to remember a place than to be given a little something extra, this can be in the form of a sample or in building a loyalty system. Further you must create synergies with other businesses so consumers recall your product when they least expert it, think coca cola and movies. Also placing your product at unique locations can develop the same strong pairing. Multi channel retail is exemplified in the kiosk. This quick simple station at any local mall is the epitome of driving your sales numbers without the harsh investment of opening up another store. The placement of the kiosk is key, making sure that whatever you are selling is aligned with the stores around you is another smart move that will pair your product with the very thing the consumer is looking for. An example, if you are selling accessories place yourself near one of the major department stores where you can attract those ladies that just purchased that perfect dress and really need that missing touch. On the subject of major department stores here is an ideal place to sell your product and really benefit from the consistent flow of people. Without multi channel retail, especially with this very competitive arena, and with the struggling economy, your chances of success really dwindle. Making sure your product is linked to something unique stems from the idea of synergy, however instead of the pairing with a product, perhaps a better idea would be the pairing with a cause. An example would be for each item purchased a similar item will go to an individual in need, or perhaps for each dollar amount spent a percent will go to a certain charity. Make sure that the charity or the giveaway correlate appropriately with what you are selling. One of the strongest ways to ensure your customer will return is to engage them during the process of the purchase. At the point of sales each customer should receive stellar treatment which spotlights their uniqueness, focuses on them being appreciated as a shopper, and makes them feel welcomed. These are key components to ensure that your customer will come back and make a purchase if for anything that warm pick me up by the sales associate. Mobile POS within the store on a Windows or iPad or Android devices is a must for competitive retailing. 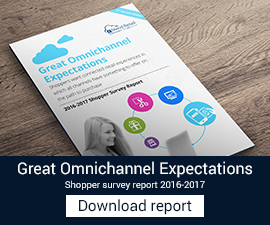 Customer experience is the most important factor for customer retention by retailers. The main idea of multi channel retail strategy is to set yourself apart by being everywhere in very distinctive ways. Setting yourself apart from the competition is the best way to get ahead of them, and placing yourself in various locals will make you a household name sure to increase your sales. Giving personalized treatment to your buyer will bring them back time and time again. This concept of integrated retail systems mixes having your store in more than one place with a unique shopping experience, and further establishing a solid online experience. It is ensuring that your name comes up whenever a buyer is looking for what you are selling. 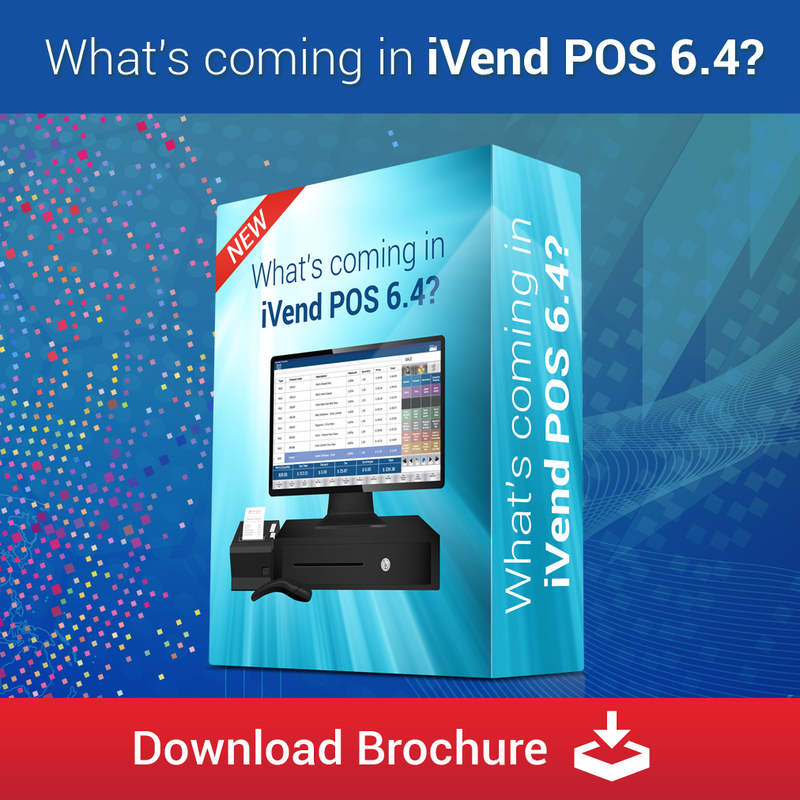 This release of iVend Retail has many new enhancements and features. The database mirroring ability will now help retailers to create fail-safe deployments thereby reducing business loss during server crashes or IT disasters. Latin America countries can now use iVend with SAP Business One localized for below mentioned countries. Read below for many more enhancements. This release incorporates a new Licensing System that allows license activation over the Internet. It is mandatory that you first request for an activation key before performing the upgrade to this release. Please email to licenses [at] citixsys.com for activation key request. iVend is integrated to Bematech MP400 TH FI printer to support the printing of fiscal documents. Printing the fiscal documents is government mandate in Panama. 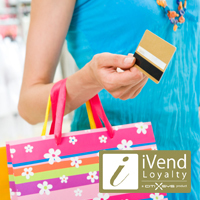 iVend is integrated to Club de Mercancia application developed by our partner in Panama to cater to needs of local retail scenario. With this release, iVend extends support for database mirroring. Database mirroring provides a fallback server in case the primary server is unavailable due to system crashes. Configuring this feature will enable the iVend system to automatically switch from primary database server to the secondary mirrored server without disrupting operations. Please refer to install guide for configuration details. Discount management has been enhanced with this release. A new setting has been provided on the product card to block the additional sale discount for the item if the line discount has already been applied. Plutus payment processor integration for India has been incorporated in this release. An additional setting has been provided in retail profile for pre-populating the current business date in transaction search screen at POS. A button has been provided in user menu to display the list of hardware which has been successfully initialized at the POS. Based on the print profile, the users can now print cash in and cash out receipt from POS. Language preferences for the users can be set from the iVend Management Console. After login in the system user would see the iVend GUI in the user preferred language. If the user language is not setup then English would be used as a default language. Bug Description: The iVend POS crashed when clicking on Open Till button while assigning the till to cash drawer. Bug Description: The user is not able to issue the store credits if the store credit is setup as user defined. Bug Description: The UDF integration was giving error if more than one UDF of SAP B1 was integrated with iVend. Bug Description: The purchase order edited in SAP B1 on integrating with iVend was throwing an error. Bug Description: When upsells are marked for auto add to transaction, then the system was not calculating the discounts properly on the upsell item. Bug Description: The users are able to specify the inactive sales person while doing a transaction at POS. Bug Description: Bug fix for restricting the addition of line to AP Invoice, if the AP invoice is copied from PO generated from iVend. This was creating an issue in SAP B1. Bug Description: User is able to remove the till assigned to another user at the POS.